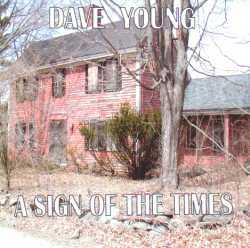 Dave Young's latest CD, "A Sign of the Times" is a winner. If you've ever been a fan of Don Williams, you're going to love Dave Young. 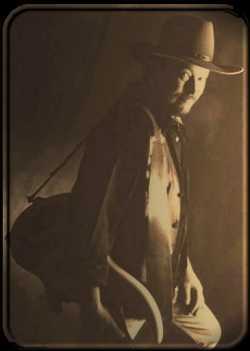 His deep melodic tones of country croonin' are what we (those of us who grew up on traditional country music) came to expect as a "norm" and have longed for it's return. 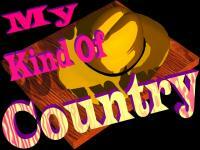 You may not always hear what you want on the radio, but you'll hear it on Dave Young's album! "A Sign of the Times", released in 2002, is a sign of great country music. While it only carries seven songs, they are all quality tunes, well penned, well produced and very well sung by Dave Young. Trying to chose 5 songs out of the 7 to preview for you wasn't an easy task so for my sake, I'm kind of glad there weren't more to make my choices even more confusing. I'll take an album that has quality over quantity any day of the week! Dave's first album, "Old Soldiers...and Other Survivors" was very well received by reviewers and fans alike as I'm sure "A Sign of the Times" has and will be. As a matter of fact, the reviews were so good for his first effort, I'm wishing I had that one as well. Good music from a man who knows how to tell a story through music... Dave's voice will lull you into the mood of the song and carry you to whatever personal memory it invokes.., and believe me, it will. One of the most telling for me was, "My Time in Hell". That may sound like a strange choice for those of you who know me, but I was instantly carried back to the days when I was a kid hearing my Ma say, "I'm bound to go to heaven 'cause I've done my time in hell." Of course, as I was growing up, I'd tell myself, "I'm not going to be like that when I grow up". HA! We are the shadow of our parents in more ways than DNA. That line has lived on in this family and it just took me back in time... a time that was infinitely better, regardless of the title. Dave's biography is overwhelming and makes one wonder... "how is this man still an independent artists?"... then again, so is Willie Nelson so that ain't all bad! There are far too many accolades to list here but I urge you, visit Dave's website and find out how many of the stars he's played bass for (yes, Dave is an accomplished bassist as well as performer) and sang with. Find out all of the organizations he's a member of, all the awards he's won... it's mind boggling... then again, you listen to his music again and that answers the question. He's been around the best of them, from rock to country and not always as a performer. Dave is a sound engineer and has worked with the likes of the Beach Boys, Melissa Etheridge, Blackhawk and more. Chibber Records and "A Sign of the Times" was nominated for 6 entries on the 45th Annual Grammy® AWARDS Nominating Ballot. "A Sign of the Times" is just that... a sign of the kind of country music that true country enthusiasts have been screaming for. The time has come and Dave Young is the answer.